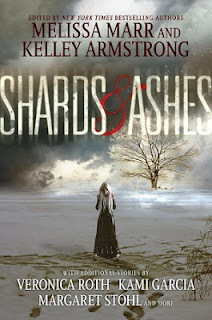 I just finished the copy edits for SHADES OF EARTH (at 3am last night) and you know what that means...ARCs soon! I cannot wait. I am still at the stage where it feels as if SoE might not quite be real. I sort of expect to wake up soon and find out that this was all a really vivid dream. Anyway! While we all wait for ARCs and proof that I'm not hallucinating my whole writing career, I wanted to tell you guys about some other awesome projects I've been working on. Namely: anthologies! 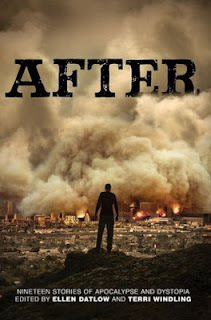 About my story: This YA dystopian anthology is going to be amazing, and I can't wait to read all the other stories in it! My contribution is titled "Love is a Choice," and is all about Orion before Elder was born. It describes what happened in those first few months after Eldest tried to kill him. It explains how he became the Recorder and in charge of the Recorder Hall. And it's also about a girl, and love, and the choices we make that divide us. It was really difficult for me to write this story because it forced me to take a closer look at Orion. When I first came up with this character, in the very first draft of the very first book, he was a mustache-twirling crazy bad guy. He had no depth, and it was way obvious what his role in the book was. 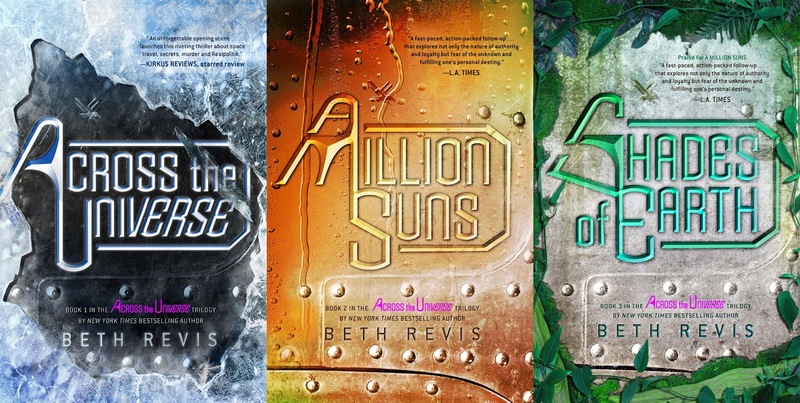 As I revised and rewrote ACROSS THE UNIVERSE, though, I found that the character who changed the most was Orion. And I really started to sympathize with him. This was not something that I expected, and as I was writing the books, I was a little startled by how much I could myself in this character. 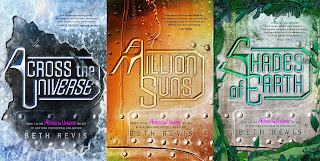 After finishing A MILLION SUNS, I knew I wanted to do a short with Orion, so I could let other readers see how much I discovered about his character. A little something extra extra: The last tale in this book is being reserved for...you. If you're an unpublished author, you're going to want to check back with the antho website and look at the competition with a prize of being published in the antho (and paid for your contribution)! More information on the contest here. About my story: The title of my story is "Night Swimming"--in the antho, each story takes place at dark. Mine is about Kayleigh and Harley and the night Kayleigh died. But the reason why I love my story in this antho extra much is because the narrator in the story is gender ambiguous. In my mind, it could be narrated by either Bartie (the man who started the rebellion in A MILLION SUNS) or by Victria (the woman who was in the Hospital with Harley). I leave it up to the reader to decide who's narrating the story. It's about betrayal and longing, whether you should stand up and fight or bow down and survive. It's about love, too, and what happens when the person you love doesn't love you back. A little something extra extra: I'll be celebrating the release of this anthology--along with many of the other contributors--in New York at Books of Wonder! It will all go down October 11--hope to see you here! More info. About my story: My contribution to this dystopian anthology is called "The Other Elder." It was the very first short story set on Godspeed that I wrote, and I love it extra special because of that. But I also like it because it tells a little bit about Godspeed and how it came to be the dystopic dictatorship that Eldest controlled. "The Other Elder" describes how the society went from an Eldest who was retiring to the next Eldest, and the young Elder who was going to take over next. It explains what went wrong, and it shows the reader how Godspeed's society came to be. Also? The narrator is a young Elder, one who thinks about fighting back, bucking the system. And because of the nature of the Eldest system, it could be the Eldest that you met in ACROSS THE UNIVERSE. It could be Orion. It could be neither of them. I leave that up to you. As with most my stories and books, "The Other Elder" centers on a choice: whether it's worth it to give up freedom for peace. Those are all the anthologies I've contributed to, and each story takes place in the world of ACROSS THE UNIVERSE and Godspeed. But I am working on two other things--there are at least two more stories that I'd like to share about Godspeed. One is about Luthor and what he was like before Amy woke up. 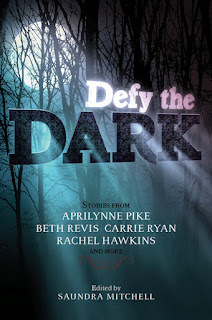 The other is about Kayleigh, and what she discovered, and the night she died. I'm working on both of these stories right now, and hope I'll be able to share more with you about them soon! 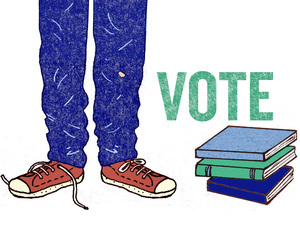 PS: If you haven't voted for your favorite novels on the NPR List, please do so here! Vote for Your Fave YA! So this past weekend, I was at Ascendio, the Harry Potter conference run by HPEF. Which was fantabulous. So much fun. Partly because Libba Bray is my new hero. Also because anything associated with Harry Potter = awesome. One of the panels was Katniss, Bella, and Hermione: Finding the Balance Between Asskicking Prowess and Emotional Realism in the Girls of YA Fiction. Which I am I very happy to say turned out to be more along the lines of Let's Talk About All the Awesome Ways Books Are Fighting the Good Fight for Feminism. Keeping in mind, of course, that my definition of feminism is: women deserve equal rights and anyone who wants to take those rights away deserves to be kicked in the face. So. The panel. It was epic. I was a tad bit afraid it would end up as people comparing characters to the point that one would be downplayed more than others, but our excellent moderator started us off on a positive note by pointing out that being a badass doesn't necessarily mean fighting--that there is a certain courage toward going after whatever it is you want, even if it's not something grand like winning a rebellion. There is strength in knowing that what you want is love, and going after that. And honestly? This might be one of the most important things I've ever said. Another way of saying it is thought comparisons. Passiveness and apathy are the exact opposite of choices and actions. When I was a teacher, that was the number one thing I tried to instill in my students: to determine what you want, and to go for it. I centered whole units around identifying and eradicating apathy--particularly through the works of Elie Wiesel, who is one of the greatest minds and most beautiful souls of our century, but it was the underlying message of every lesson I taught (I hope). I blogged about this before--how the saddest thing I've ever seen was the student who had no dream. I think there's a valid argument to be made that apathy is one of the greatest evils of mankind. Another great evil? Trying to take away someone else's choice. Choice comes in many different varieties--the girl who goes after romance is no less valid than the one who starts (or finishes) a war. It's silly to belittle a book character (or a person) for not wanting the same thing you do. You might think a person should choose a certain path, but it's not up to you. The heroine of a romance will want something different from the one who lives in a dystopian novel. But they're not wrong. Just different. It's when someone else makes a decision that someone doesn't deserve the right to choose something, tries to take away a person's freedom, or try to counterattack an idea when things go wrong. This sort of evil takes many different forms. At it's extreme, you see it in dystopian literature where the government won't give people the freedoms to choose their own lives. At a smaller--but just as evil--form, you have individuals who want to control others, take away rights, or make others inferior just because they can. These are the bullies of the world, and they exist every bit as much in real life as they do in books. Also? That's basically the theme of all my books. YA Scavenger Hunt Call For Authors! Increased web traffic--at the last hunt, we had around 1,500 entrants for the grand prize, and authors saw about a 6,000 pageview increase on their websites during the hunt. Meet new readers--more than 600 people voted in our poll last hunt that the #1 thing they looked forward to on the hunt was not the change to get a prize, but the chance to find new books to read. Readers, you can invite your favorite authors to join! Just send them a tweet or an email with a link to the YA Scavenger Hunt page, and invite them to join. 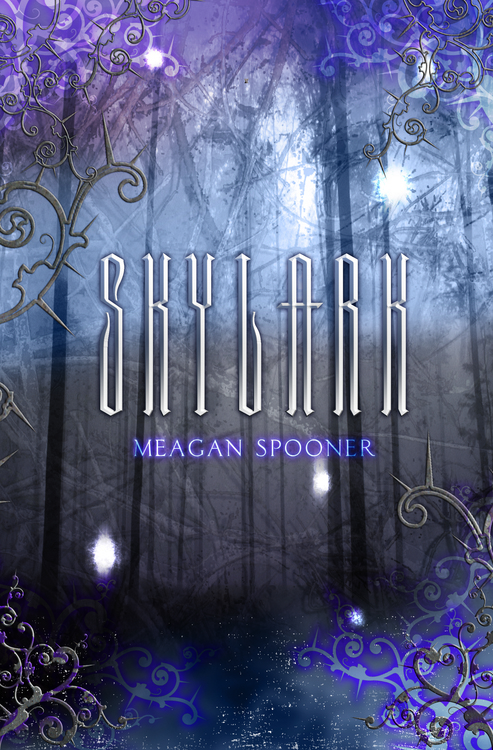 Today it is my very great pleasure to welcome Meagan Spooner, author of the debut novel SKYLARK, to my blog! 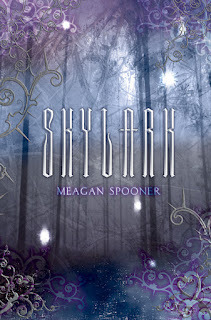 Meagan's a great author (and PS, doesn't SKYLARK have a pretty cover?! 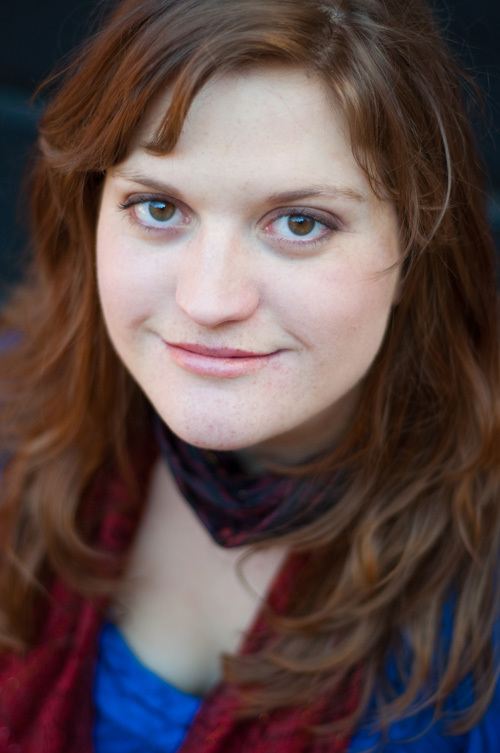 ), and she's talking today about world building and fantasy. Make sure to read the whole post...and enter the giveaway at the end for a signed, first edition copy of SKYLARK! One of the things most people don’t know about SKYLARK when they read it is that it started out set in our own world, our own universe—it took place after the future scientific discovery of a new energy source referred to as magic. That ultimately didn’t stick, obviously. The book’s now set in an alternate universe in which magic was the dominant power source behind technology all along, because I wanted to simplify the straight-up fantasy aspects. But ultimately, this original setting ended up benefitting the book tremendously. It was originally set in the remnants of what had once been Washington, D.C.—where I’ve lived almost my entire life. The forests Lark fled through were the forests I played in as a kid, in suburban Virginia. It gave my fantasy setting a real-world texture that I don’t think I would’ve had if I’d started writing originally set in this new, different world. And now, even when I write stories set in fantasy worlds (or, as is the case with THESE BROKEN STARS, D*H-2013, other planets) I still start off by correlating them with real world places I’ve been to. Why, you ask? Keep reading, I say! When you base your fantasy worlds on real-life places, you can use real-life tools to make them lifelike and fully-realized. Here’s a list of a few online tools you can use to make your invented worlds feel more real! Boy, did I use the heck out of Google Maps while writing SKYLARK. Yeah, the maps are nice, but what I got the most mileage (hah) out of was their time estimates for walking routes. Lark spends much of her time on foot, walking (or running for her life) from place to place. I needed to know how long it would take to walk, for instance, from D.C. to the nearest point in the Appalachian mountain range. And then, how long would it take to walk through the mountains? And while I was researching this, I discovered a beautiful little waterfall tucked away there, and that made it into the story. The scenes that take place by the summer lake are some of my favorite in the entire book, and they never would’ve even happened if I hadn’t been tracing Lark’s route through an actual landscape. Of course, this one is really for anyone writing a survival story—any story, really, where your characters don’t have enough food. But one of the dangers Lark faces is starvation. When she crosses the Wall, she has absolutely no survival skills and very few supplies, and I had to know how much she’d need to eat per day just to be able to keep moving. I knew from my research Google Maps how many days she’d need to be in the wilderness, so I could find out just how much food she’d need with her to survive—and how much she’d need to find along the way. Um, hello? Doesn’t every author use Wikipedia these days? But see, here’s the thing. Because my setting was based on a real-world location, I could specifically look up lists of flora and fauna in the Virginia area—I could look up animal’s breeding seasons, their territorial habits, how easy they are to catch. I could look up plants, whether they’re edible, poisonous, itchy. Yes, some things are different in Lark’s world, but having access to info on an entire ecosystem on the web meant that I could keep everything in balance, make the wilderness Lark was trying to survive in feel like a real place. Because for her, one of the biggest and most constant threats to her safety is the wilderness itself, and if readers didn't buy the world, they weren't going to buy Lark's peril. I’ve always been fond of books that have incredibly vivid settings—I like the setting of a book to almost feel like its own character. For example, I was never a big fan ofWuthering Heights (have I just committed sacrilege by saying that?) but the saving grace, for me, was the moors. They were so real and so wild and so atmospheric. And, of course, real—if not actually that creepy in real life. And while reading The Golden Compass, I wanted nothing more than to be a child at Jordan College myself—I almost felt like I could smell the dusty books. And while Lyra’s Jordan is in an alternate universe, it’s based on Oxford, a real place. That’s not to say that every fully realized fantasy world comes from our world, but it’s definitely a fantastic place to start. Thank you, Meagan, for sharing that awesome post with us! Now everyone, comment below by the end of the week to be entered to win a signed, first edition copy of SKYLARK! Sorry, but this is US only as the author is shipping it herself. Ch-ch-ch-changes! 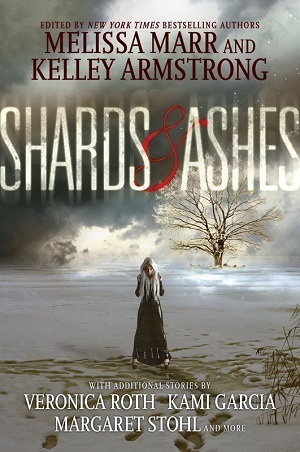 Cover and summary reveal of SHADES OF EARTH! All the books in the trilogy are getting a new look! Now, I know this has come as a shock to some of you. My first gut reaction when I saw the new covers was, "But they won't match the originals!" And that's true--but the more I look at them, the more I love them, and I hope you like them, too. The covers don't spoil the plot. This one was a huge issue for me, because I like my twisty plots! Every idea we had for the cover of Shades seemed to reveal a plot element that I wanted to keep hidden. This cover, though, seems to perfectly encapsulate the secrets of what is left for Amy and Elder to discover, and I truly appreciate that!